It looks like our good buddy and Artist, Steve Gaul, has been very very busy lately. 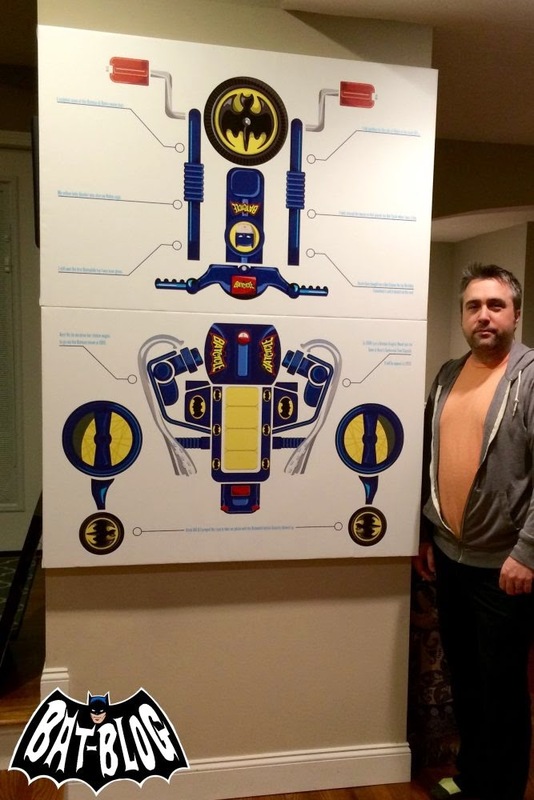 Check out this installation of a Digital Illustration he recently did of a cool Vintage 1970's Batman Bat-Cycle Toy. It looks like he broke it down into a timeline/biography blueprint of sorts. It's going to be on exhibit at the Zeitgeist Gallery in Beverly, MA. on April 12th, 2015. For more details on this art event please be sure to visit Steve's site by clicking RIGHT HERE! Oh yeah, down below is a scan of an old advertisement from our friends at the always amazing Plaid Stallions blog. 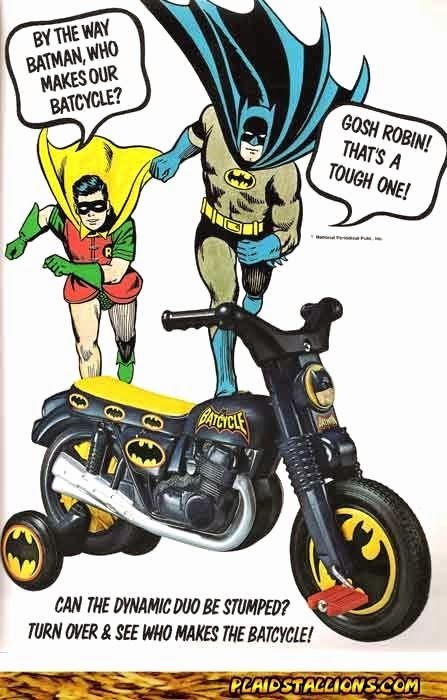 It shows you a picture of the original ride-on toy in all it's bat-glory!